Do You Want to Sell Your Commercial Property Fast in San Antonio, Texas? We Buy Commercial Real Estate in Any Condition for Cash in San Antonio! Request a cash offer for your commercial property from our San Antonio investors by filling out this quick form or calling our local office at (877) 717-2087. After reviewing the details about your property, our team member will contact you to schedule a visit to come see your San Antonio property. After getting a more clear picture of your property’s condition, we’ll give you an all-cash, fair offer based on your local San Antonio’s market value. We buy commercial properties not only in San Antonio, Texas but also in all the surrounding areas. Therefore, if your property happens to be outside the San Antonio, feel free to contact us. We’ll be happy to buy your property in any location. Will Property Cashin buy my San Antonio property fast? For years, Property Cashin has been working with Texans to help them quickly and efficiently sell their commercial properties. With our remarkably fast turnaround, some of our real estate transactions conclude in as little as one week! We understand that many commercial property owners need access to finances quickly, and we are able to deliver on that need with an experienced real estate team working to get you cash for your property as speedily as possible. 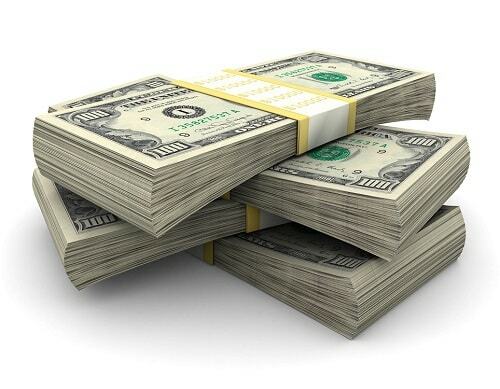 Property Cashin’s primary goal is getting money into your pocket after you sell us your commercial property! We have worked with hundreds of property owners, turning their unused and unwanted property into cash. We aim to get you a fair market value within the San Antonio area while also providing a quick and simple sales process. Property Cashin also buys properties in as is condition, meaning there’s no need for you to worry about funding repairs on your property before the transaction. We aim to maximize your profit while streamlining the real estate transaction process. How much do I need to pay to sell my San Antonio building quickly? Selling your commercial property comes at no cost to you! Property Cashin doesn’t include any surprise fees or out-of-pocket payments in our paperwork, instead rolling any and all associated fees into your transaction. Property Cashin understands the stress and worry caused by selling a commercial property, and we don’t want to intensify those anxieties by hitting you with out-of-the-blue costs. Your only concern should be collecting your cash. The foreclosure process on a commercial property can leave you facing heavy bills and legal fees that you aren’t currently prepared to deal with. Property Cashin can step in and help to stop the mounting debt. When you sell us your commercial property, the foreclosure process immediately stops, as do the associated costs. After we’ve bought your property and you’ve accumulated new cash, you can put the money back into paying off your debts, alleviating your stress and putting you on a more financially-sound path. If your business is losing money, you may feel desperate for a way to keep the business afloat. Selling a commercial property is one way to supplement your earnings, helping you to get through tough financial times. Property Cashin understands the difficult of the decision to sell your commercial property, but we are experienced and ready to help you avoid the convoluted real estate process. We’ll quickly buy your property as is for a fair price, getting you the funds you need and allowing you to focus on what matters most – growing your business and enjoying a successful career. The legal fees associated with a business lawsuit can easily become consuming and worrisome, distracting you from improving your business and working through the lawsuit. Property Cashin can help you by buying your commercial property. Once you sell us your property, you can quickly get the money you need to face a business lawsuit. After the completion of the real estate transaction, your focus can shift to the coming legal proceedings and the continued success of your business. Conflicts with a business partner can be incredibly difficult for your company in more ways than one. Financial concerns, disagreements on the future of the business, and property ownership disputes can make the initial problem feel like it’s out of your control. If the ownership of a commercial property comes into dispute, selling the property to offset other costs or to fairly pay all involved parties may be a necessary step. Property Cashin is experienced in working with all associated parties to buy the commercial property in question quickly, at a fair market value. If your commercial property is in need of repairs, it can be dangerous for you, your employees, and your business’s possessions to remain in the space. Don’t risk the stability of your business by remaining on a property in need of repairs, and stop stressing about covering the heavy costs of continuous maintenance. Instead, consider selling your property to Property Cashin. We can get you the needed funds to move out of your business’s current location and into a new, safer property. With years of experience in the market, Property Cashin can even help you to find a space better suited to your business’s needs. Businesses attempting to increase or downsize their space often lack the money they need to do so. In selling your current commercial property to Property Cashin, you can quickly find the funds to move into a location more suited to your business’s size needs. Property Cashin is experienced in helping you find the space you’re looking for, walking you through the entire process speedily and efficiently – and getting you a fair price for your property while we’re at it! Instead of staying in a space ill-equipped to your business’s unique needs, consider selling your commercial property and using the funds to invest in the continued success of your business. Personal issues, whether they’re medical, legal, or debt-related, can be a major stressor that can only be alleviated with a monetary solution. If you’re struggling to find the money you need to ease your anxieties, Property Cashin is equipped to help you! We understand that the decision to sell a commercial property can be difficult, but we will work with you to generate the funds you need. Buying your commercial property quickly, we can get cash in your pocket in as little as one week, helping you to escape from the stress of a monetary burden. As the costs associated with property ownership continue to rise, it is a financially sound and intelligent decision to cash-in on the equity you’ve accrued on your commercial property – sooner rather than later. Property Cashin supports your drive to invest money into what matters to you, and we can help you to get rid of your commercial property and to begin a new stage of an exciting journey. We’ll get you the equity you need to start a new adventure, whether it’s a monetary investment, a dream vacation, or purchasing a commercial space better suited to your needs. If you are looking to sell your commercial property fast in San Antonio TX, Property Cashin is the right place to come to. We provide our clients with a quick and fairly estimated deal for any commercial property they wish to sell. Our willingness to buy properties in any condition will let you get the cash you need in no time! We have already established knowledge of the real estate market, giving us the ability to give you the best deal you can ask for. We can offer you a quick cash solution, saving you the time you would otherwise spend searching for a good deal on your own. Our team provides our clients with a walk through the whole process of the transaction, leaving you with nothing to worry about. Keeping commercial properties you don’t make any return money from, costs you a lot in maintenance and tax fees. Come to us for an evaluation, and we will buy your unwanted properties in cash!